Shout out to Fischer Scientific! My work had an office supplies fair yesterday. 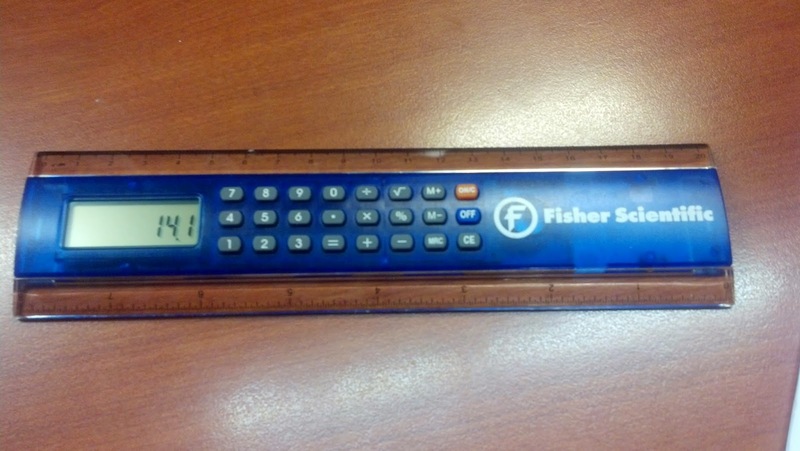 It is not everyday that I see a ruler calculator. I asked about how much is the ruler calculator because I wanted to order one for myself, and the nice vendor gave the ruler. I am much appreciative! I am working an equation library program for the HP Prime, and so far I have 35 equations, and planning entering a few more. Subjects covered include astronomy, finance, motion physics, sound, electronics, and Great Circle calculations. I plan to release the program sometime in early April 2015 at the latest. With the growing use of tables and smart phones, many calculator apps are available on Apple iOS devices (iPod Touch, iPad, iPhone) and Android devices. Let me ask the readers: are you using calculator apps, and what is your opinion on them? Do you have a preference between calculator apps or calculators? Personally, I prefer calculators that have physical keyboards. I like the tactile feel of the keys and the fact that calculators are single purpose machines. It also frees my iPod for other tasks. Having said that, two of my favorite calculator apps are CalcFxC and PCalc. Calculator apps are also an excellent source of providing emulators of classic calculators. Readers, I wish you the best, and have a great day! Thank you for following, visiting, and commenting. Last Friday, I just couldn't resist. 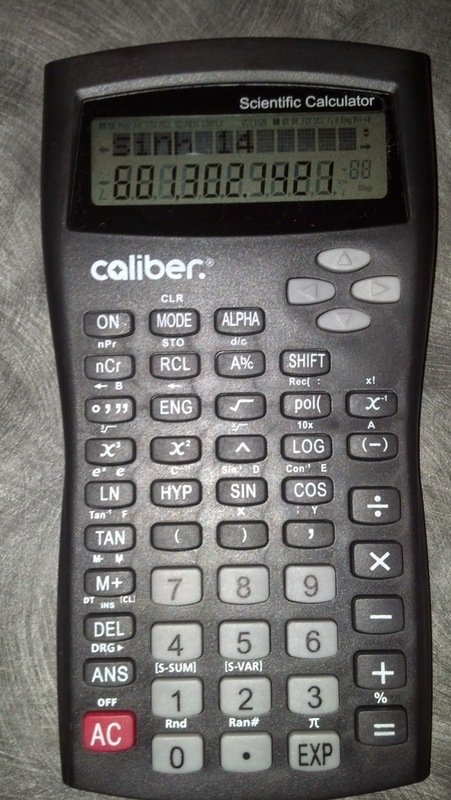 I was at CVS in Glendora, CA and purchased their Caliber Scientific Calculator, pretty much for its keyboard. On the surface, the Caliber Scientific Calculator is a basic level scientific calculator. Notice the keyboard and its unique arrangement. To see how it compares, let’s compare the keyboards of Caliber Scientific Calculator to the Hewlett Packard 10s+ Scientific Calculator. They both share the same operating system, more on that later. On the Caliber (on the left), unlike almost every single scientific calculator, the markings on the calculator, outside of the number keys, are all one color: white. The primary functions are in white, the shift functions, white, and alpha characters, white. The HP 10s+ (on the right) have different colors. Shift functions are in sky blue and Alpha characters are in orange. Caliber places the [ SIN ] and [ COS ] on one row while the [ TAN ] key is on the next row. Also noticed, the marking of the arccosine function: Con⁻¹ instead of cos⁻¹. 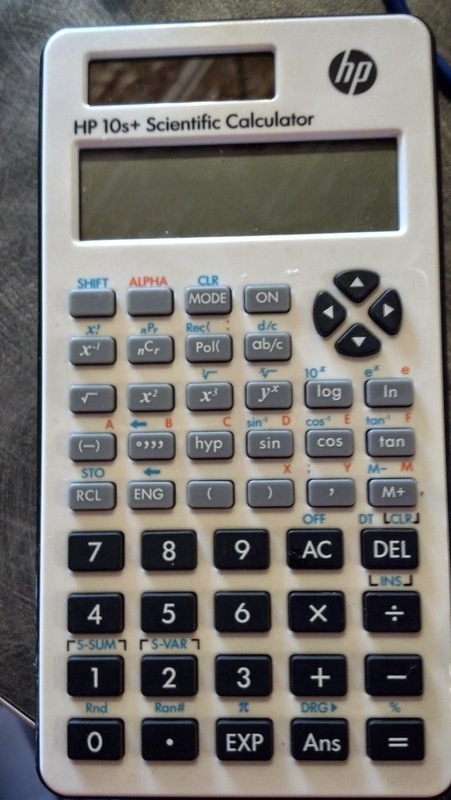 Like every other calculator, the HP 10s+ places the three trigonometric keys in a row. The B character (alpha of [ ° ‘ “ ]) is placed one row above (!) the A character (alpha of [(-)]). C, D, E, are on the next row (alpha of [HYP], [SIN], and [COS], respectively), and the F character (alpha of [TAN]) is on the next row. Apparently, CVS took the keys of the HP 10s+, or most likely the Casio fx-300MSPlus, and rearranged the keys with not much regard to the placement or logic of the keys. * Nine memory registers (A through F, X, Y, M). Storage addition and subtraction available for the variable M.
* Six statistic regression models: linear, logarithmic, exponential, power, inverse, and quadratic. Despite the unusual placement on the keys and the fact all the markings are one color, the Caliber operates well and expected. Start with a rectangular polygon where each side of length s. This referrers to polygons with n sides. (The pictures show a regular pentagon, where n = 5). Draw a line from each vertex (corner) to the center of the polygon. Note that n triangles are formed. Label each internal angle as θ. Note, we can state the area of the regular polygon in a separate form. 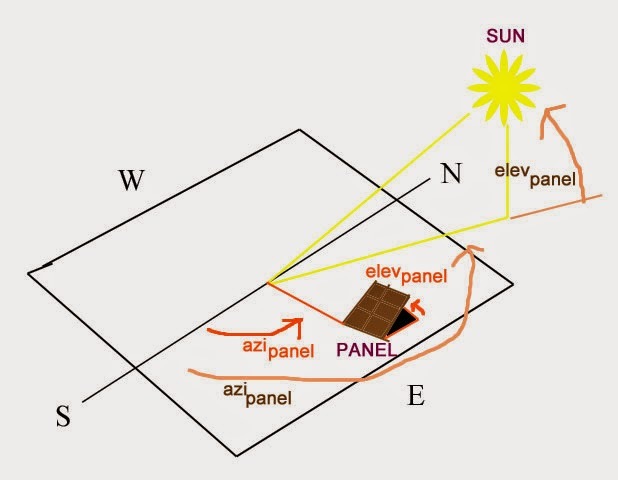 (1) The solar angle of incidence given the angular elevation and azimuth (from south going “counterclockwise”: east-north-west) of both the sun and panel. (2) The irradiance given by the solar panel. Calculating the flux density (energy) of solar radiation on a surface, Lambert’s Cosine Law is used. 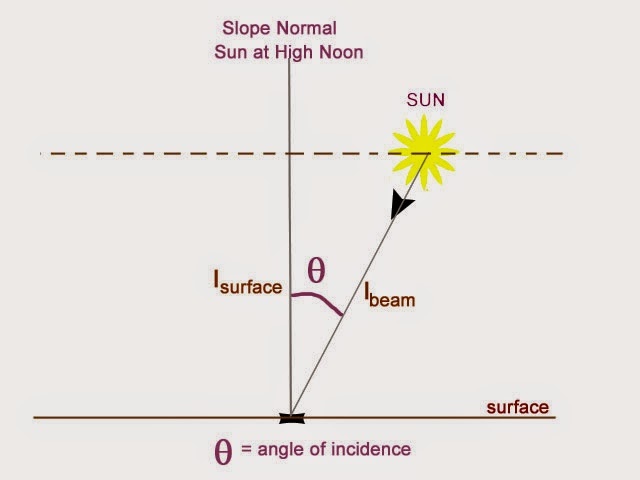 Lambert’s Cosine Law states that the relation between the irradiance of the sun and the angle of incidence. The result is the irradiance of the surface. Irradiance is the rate of energy (power) over a unit area. In SI units, irradiance is measured in Watts per square meter (W/m^2). 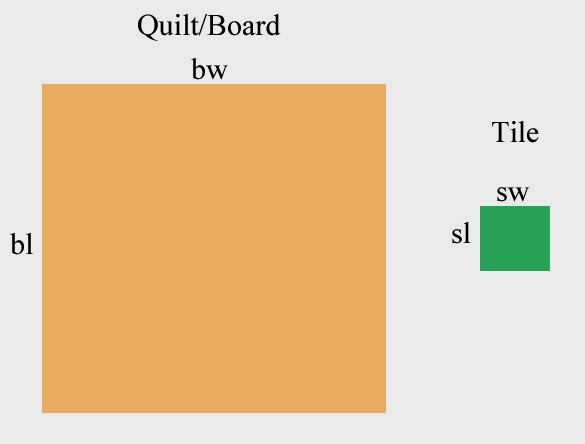 The program QUILT will find the number of small tiles that will fit in a large rectangular quilt (this can be applied to game boards, posters, or other decorative items). QUILT will also calculate the number of columns and rows of tiles you will have, and the leftover area. The idea is to minimize the area that remains after placing the maximum amount of tiles. I will assume that no tiles will be cut in the process. where floor is the floor function and int represents the integer function. Essentially, you want the integer (whole number) portion of the divisions sw/sl and bw/bl and disregard the fraction part. We have a quilt that measures 40” by 54” and we want to fit as many tiles measuring 2” by 3”. Hence: bw = 40, bl = 54, sw = 2, and sl = 3. We have a quilt that measures 48” by 54” and we want to fit as many tiles measuring 5” by 5”. Hence: bw = 48, bl = 54, sw = 5, and sl = 5. Here are some of my favorite mathematical websites to visit. This site contains a history of Hewlett Packard calculators and has a forum for calculator owners and mathematical enthusiasts. The forum contains a software library for many of the HP programmable calculators, with threads dedicated to the HP 41C, HP 67, and the HP Prime. The people on this forum are incredibly smart and very friendly. This is a dream website. Here you can type almost any question regarding math, chemistry, physics, biology, and astronomy; and get straight forward answers about the subjects that you desire. I often ask Wolfram Alpha for astronomical locations of planets, our sun, and our constellations. Wolfram Alpha also has a CAS engine which will compute indefinite integrals, expand polynomials, produce truth tables, factorize integrals, and much more. Wolfram Alpha is also has apps available on iOS and Android for $2.99 - well worth the price. The web site, run by Christopher R. Mitchell, the author of "Using the TI-83 Plus/TI-84 Plus" (a super book). This website has technical news and forum for members. I just recently joined the forum. Cemetech primarily focuses on Texas Instruments calculators, but there is also a program archive for the Casio Prizm and the HP Prime. There are many developers that share their programs and user-made applications for the TI calculators on Cemetech. This website in is an online album of ever Texas Instruments calculators ever produced since the 1970s. You can down manuals to classical TI calculators including a library for the TI-58/59 calculator. This site is an online album of any programming and graphing calculators of all the companies, not just the big three (TI, HP, Casio). I can easily spend a few hours on this website. If you need a place to find good programs for the HP 48, HP 28, HP 49, HP 50g, HP 39, and HP Prime, this is a good place to go. This website is hosted by Eric Rechlin. This is an educational website that covers math and graphing calculators. The website is run by Lucas Allen, author of “TI-Nspire Tutorials: The TI-nSpire for Beginners”. This is the official CinemaSins page, you may have seen the more familiar YouTube channel. The CinemaSins counts all the quirks, mistakes, and funny coincidences of popular movies. Jeremy Scott is the phenomenal narrator. CinemaSins have expanded to count the sins of popular brands and music videos. So that is some of my favorite places to visit. If these websites are new to you, I hope you check them out and enjoy them. 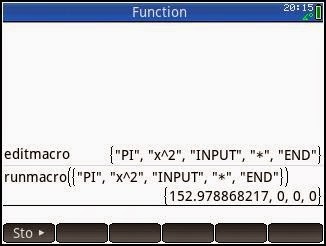 Bring RPN keystroke programming to the HP Prime with editmacro and runmacro. Build the program with editmacro. The result is a list of strings which make the macro. Save the string to any variable you want. Use runmacro to execute the string of commands. * 20 temporary register variables which can be used within each macro. Storage arithmetic, increment and decrement by 1 are included. * Six tests: x>0?, x<0?, x=0?, x>y?, x<y?, x=y?. 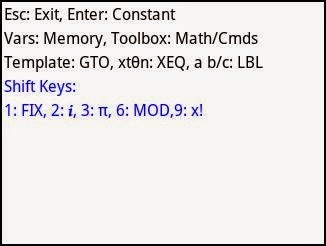 They work in the classic RPN keystroke format. 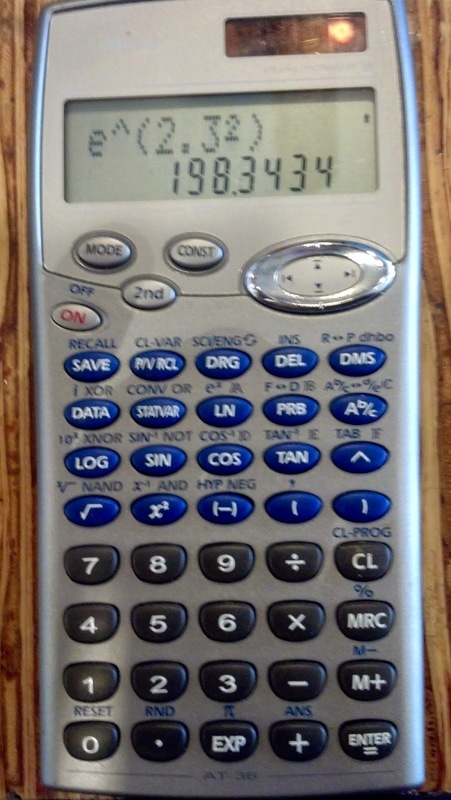 Ativa AT-36 Calculator. I bought from an Office Depot store before it was merged with Office Max eons ago. Compared to today's standards, this calculator is slow as heck! 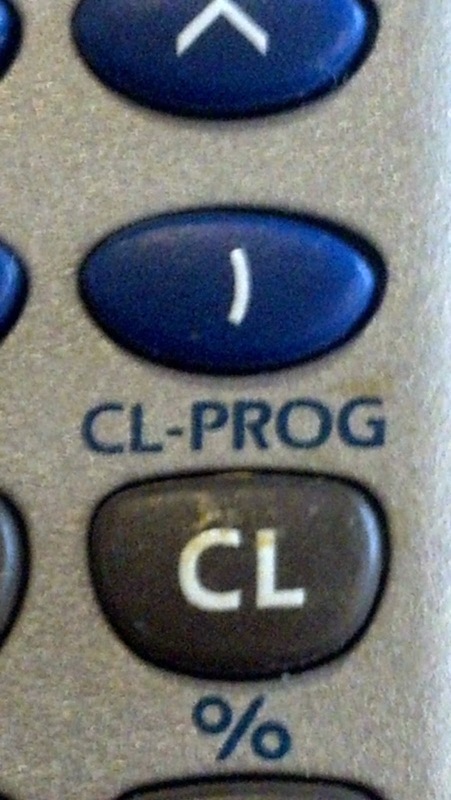 The calculator would feature a "CL-PROG" function as the second function of the Clear key, as shown below. This would imply that the Datexx DS 834 ECO (Link: http://www.datexx.com/product-p/ds-834.htm), Ativa AT-36, and any other clones, such as the Citizen SRP-285N (Link: http://calculator.citizen-europe.com/en/calculator/srp-285n ) would be programmable. No program or formula programming mode is available. No mention of the use of the CL-PROG feature in the any of the manuals or the example sheets provided. I don't know if this feature was going to be programmed and the original programmers just ran out of time. However, the [2nd] [ CL ] for CL-PROG seems to do nothing. If you do know, please comment on this blog entry. One of the curiosities of scientific calculators. Remove the prompt of A and B to make MODDIV suitable as a subroutine. Local Time: Use a 24 Hour clock. When entering time, you can enter a decimal or hours°minutes’seconds’’. Please keep in mind that these are approximate answers. Also, a 2-column matrix is returned to the home screen for reference. The first column is the input column, the second is the output column. No angle of rotation is assumed. 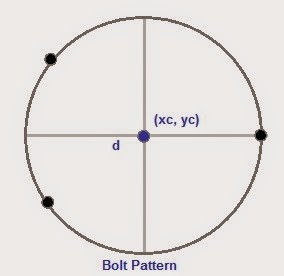 The OC-Distance between each bolt is calculated by calculating the linear distance between neighboring bolts. Each point where the bolt should be placed. In addition, the on-center distance between bolts is displayed. Finally, each of the coordinates will be presented in a list. For the TI-84+ version, the list will be stored in list L6. Note: Bolt Patterns can easily be calculated with the Machinist Calc Pro, original (Model 4087) or Pro 2 (Model 4088) (including angle of rotation).